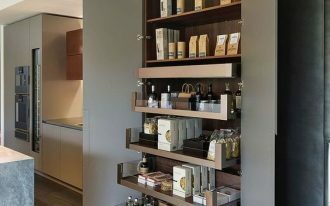 A decoration may be only an additional thing in your home. 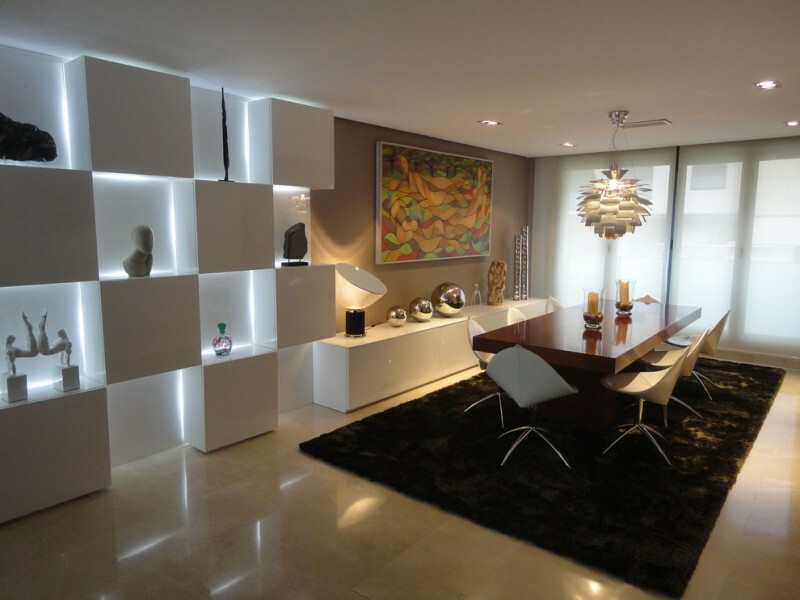 But, decoration can make a room lovable and give a strong statement in the room. 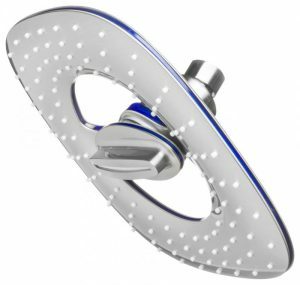 You can choose to have affordable or expensive decoration. 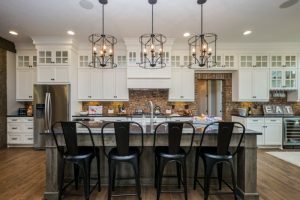 For a dining room, besides arranging dining room furniture, you can put a beautiful flower arrangement on the dining table or put a painting on the wall. 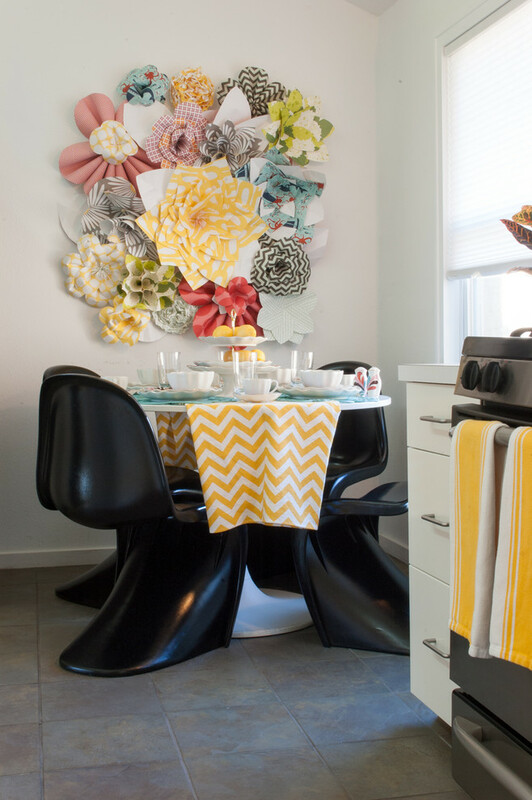 You can do the dining room decoration as you want. 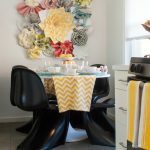 Here are some dining room decorating ideas that will inspire you to beautify your dining room. 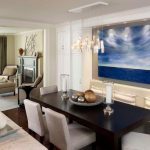 This luxurious dining room is decorated with a large painting on the wall and decorative balls with a bowl that is put on the dining table. 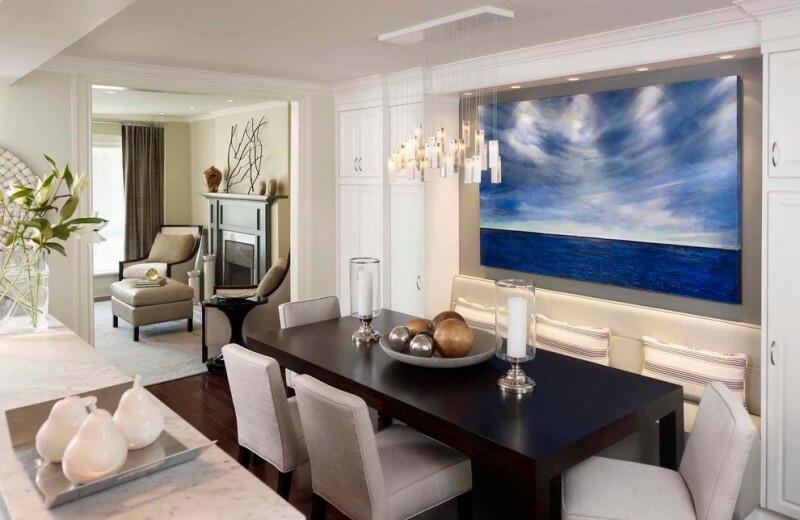 The pop blue color of the painting is suitable for the neutral colors in this dining room and brings ocean feeling. 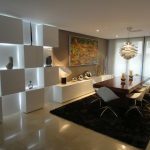 You can put some decorations in the lighted cubes in your dining room. It will look modern and creative. This dining room features a large wooden dining table, white chairs, a unique chandelier, and a cool black rug. This dramatic black and white dining room are decorated with white flower decorative plates from Global Views on the black wall. 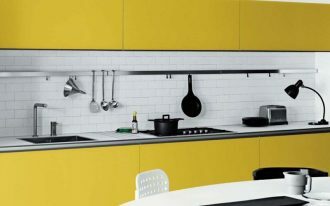 It is a way to get a graphic effect in the dining room. 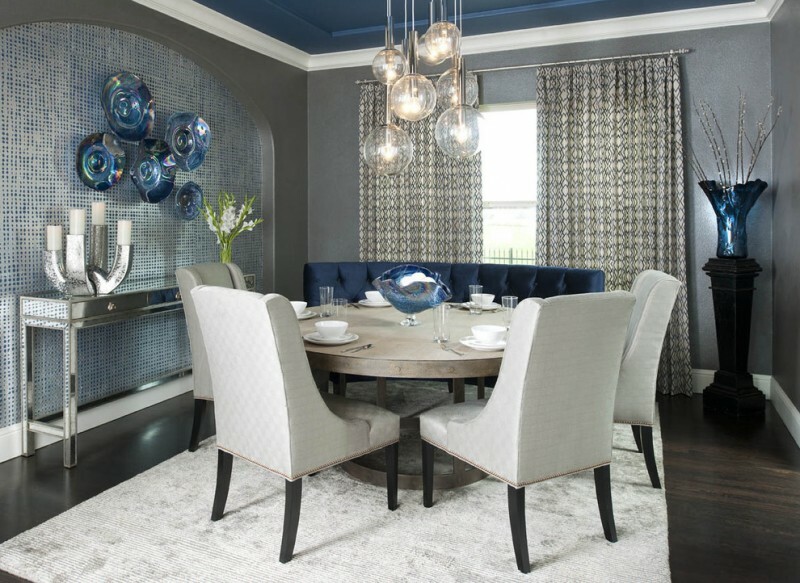 This lovely dining room is decorated with cobalt blue glass decorations, those are glass hand blown wall plates, Bristol vase, and a dining table decoration. 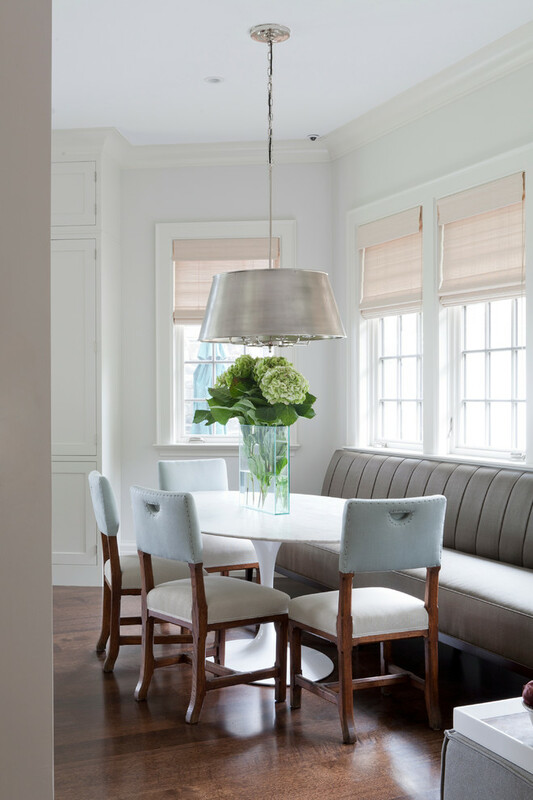 For more beautiful lighting, this dining room has a pretty radiant chandelier. 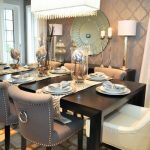 If you want to make a modern chic dining room, you can arrange a Saarinen oval dining table, some chairs, an upholstered bench, and a simple light fixture. 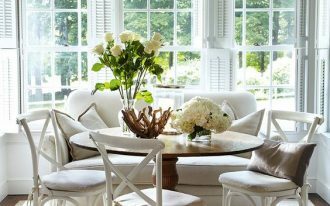 You can decorate your dining room with a flower arrangement with a glass vase. You can make an assortment of flowers from colorful papers. It will be a cute dining room wall decor. 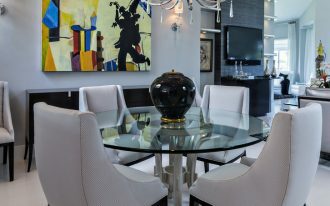 This dining room also has Vitra new black Panton chairs and a flower table in white. 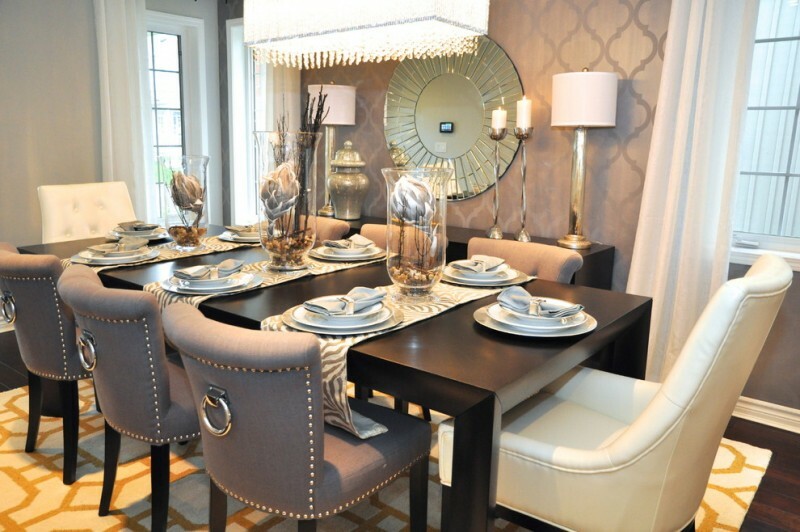 This glam dining room has a wooden table accompanied by white and gray glamorous chairs. The wooden table is decorated with some patterned table clothes and decorative flowers in glasses. A beautiful landscape is shown in this dining room through the large glass windows and sliding door. The wall is filled with a large mirror with black frame and some rustic frames. 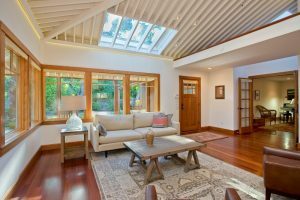 The ceiling detail can also decorate your dining room. 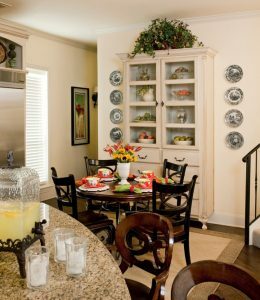 The beautiful pattern and the colors of the detail bring art touch in this dining room. This dining room has a beautiful wall with lights. 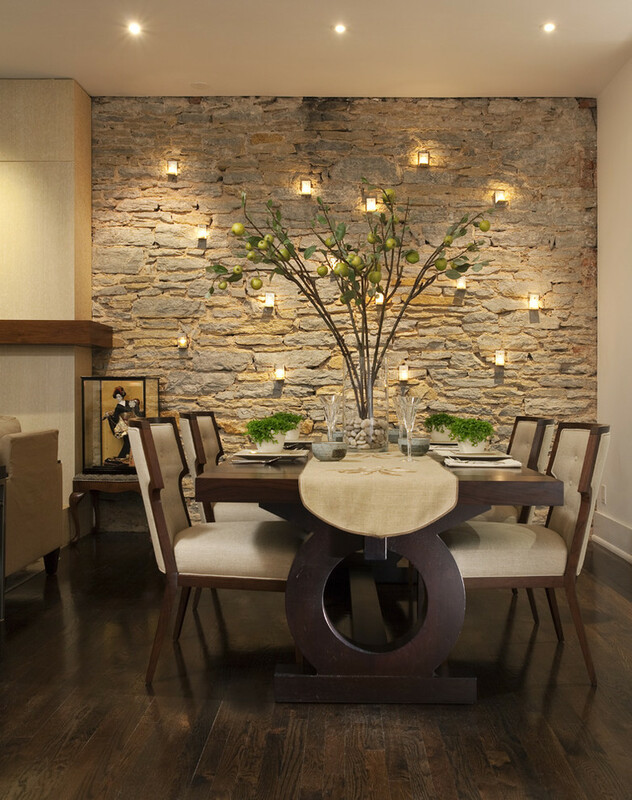 The stone wall in this dining room is original Platteville limestone wall. The votive candles are mounted on this wall by nailing them.